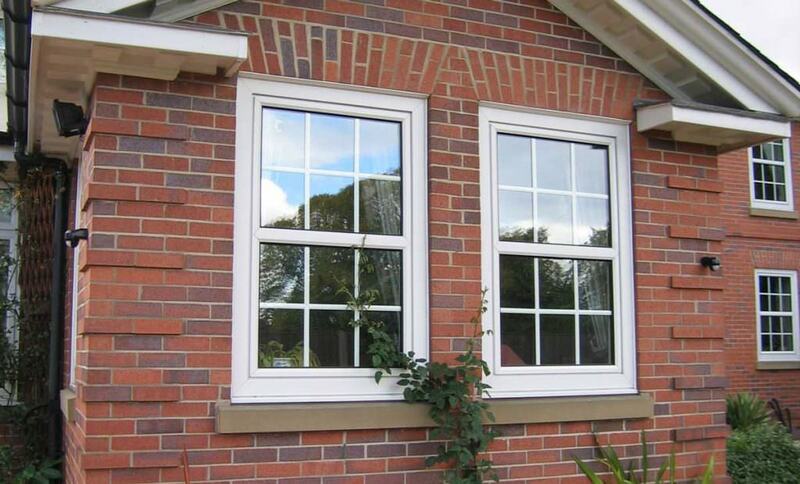 uPVC tilt and turn windows enhance window functionality. A stylish, efficient and versatile addition to your home. uPVC tilt and turn windows are a versatile and attractive home improvement that are ideal for both commercial and residential properties alike. The unique tilt and turn functions allow exceptionally easy cleaning from inside the property, making them ideal for high rise buildings, and the convenient ‘tilt-only’ feature allows increased ventilation without the need to unlock security features. Select Products offer a tilt and turn window collection from the industry-leading SynerJy range by Synseal. Purchasing your tilt and turn windows with us means you will benefit from both the high-performance and state of the art SynerJy product development, combined with the expert knowledge and skill of our professional installers. Synseal’s SynerJy range has been specifically developed to offer an innovative internal uPVC structure combined with a classic European tilt and turn window aesthetic. Our unique window structure allows us to blend industry-leading quality with a stunning range of colours and styles so that you can create the perfect windows to enhance your home. A characteristic unique to tilt and turn windows is the ‘tilt only’ function. This feature enables the window to tilt open at a 90˚ angle with ease. Opening the window this way allows you to increase ventilation into the property without fully extending the window, useful in a range of property types. Our windows can be locked in the tilted position, maintaining the protection of your home whilst improving air flow. They are also able to be opened outwards to ease in cleaning and to provide a means of emergency evacuation in difficult-to-reach areas. As with all of our uPVC windows, our tilt and turn windows are made using premium Planitherm energy-efficient glass. This high quality Planitherm glass works to trap warm air inside of your home, increasing your property’s insulation and keeping it warmer for longer. Our entire range of uPVC windows are built to precise Building Regulation standards of energy efficiency, and with this feature you can enjoy the benefit of decreased heating bills through the colder months and a lower carbon footprint for your property. 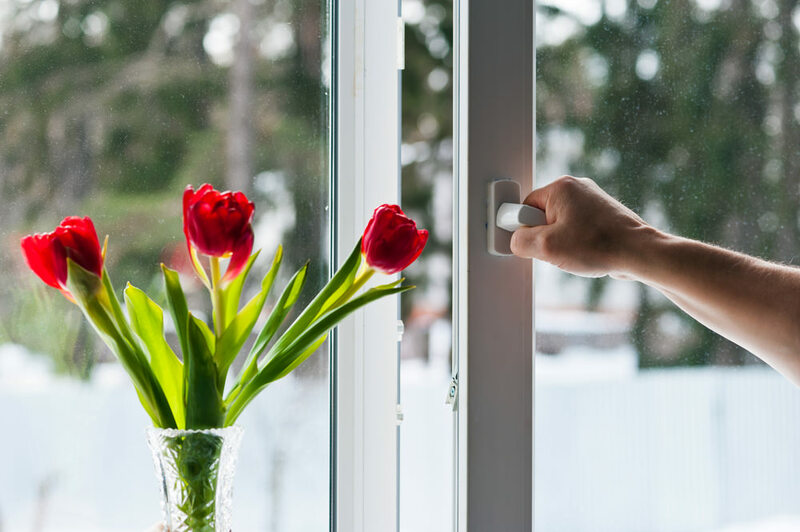 Installing our multifunctional tilt and turn windows will not only keep your home warmer in bad weather, but it will also keep your home protected. Our team of experts fit all our uPVC tilt and turn windows with high quality weather seals to guard your property from leaks or draughts. We are one of the only companies in Leeds to offer the SynerJy double glazing range from Synseal which is one of the highest quality uPVC products available in the market. This means you will never have to worry about the windows you buy from us warping or rotting when exposed to the the elements. Time-consuming maintenance and upkeep will also be a problem of the past with our windows. Select Products include a 10-year insured guarantee from our manufacturers, meaning the occasional clean is all that’s needed for our timeless windows to upgrade your home in minutes. 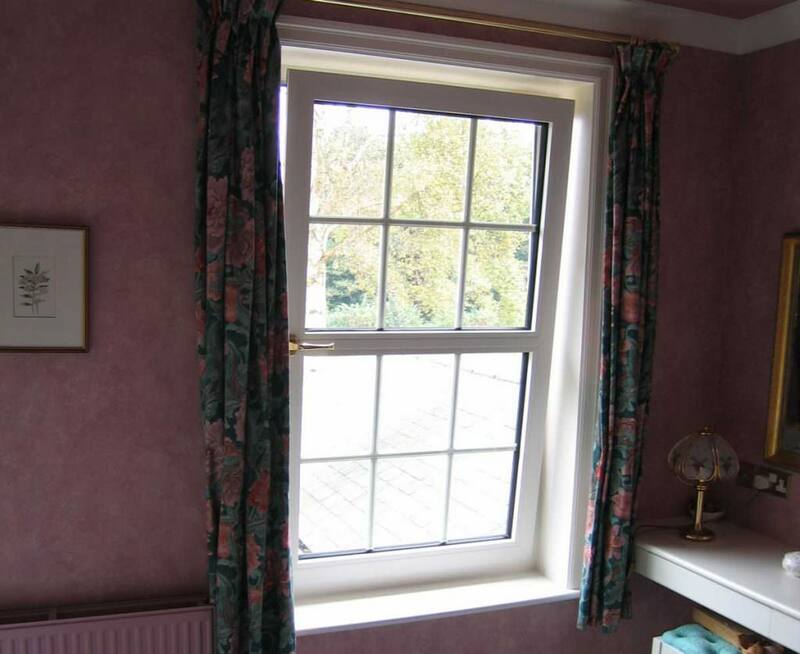 Whatever the age or character of your home, we are confident that we will have the ideal tilt and turn window for you. Based on the classic casement window design that has remained one of the most popular styles throughout the past century, our windows are able to effortlessly capture the essence of any area, making them a brilliant choice for both new and existing properties. Our uPVC tilt and turn windows are also available in a range of colours so that you can personalise the way your property looks. If you are looking for all the modern benefits of double glazing but are seeking to maintain a traditional aesthetic, then wood grain effect windows could be the ideal solution for your home. People looking for something a little bit different will be satisfied with our collection too. All our uPVC windows are easily customisable with a wide range of decorative options including sash horns and Georgian bars, so the number of different combinations and finishes is almost limitless. Creating windows as unique as the home owners themselves has never been easier. Our windows are made using the highest resistant uPVC materials and fitted internal locking systems to defend them from impact damage. 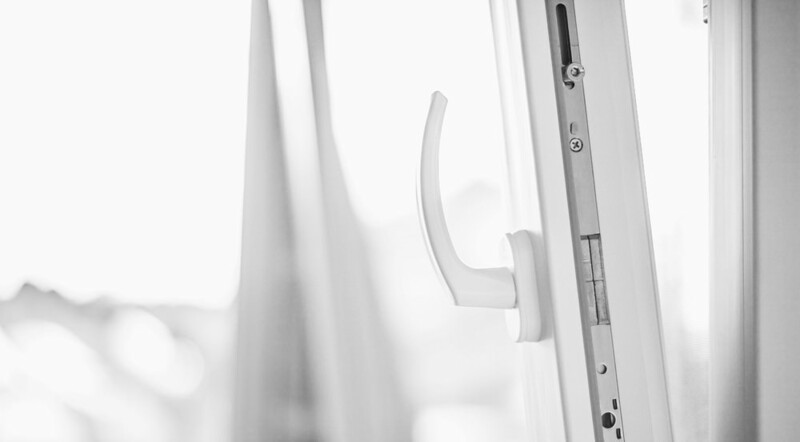 For an extra level of protection for your home, additional security features such as shoot bolt locks and internal glazing beads can be included in your tilt and turn windows. You will have no doubts that you have left your property as secure as possible. At Select Products, our customers are our number one priority. 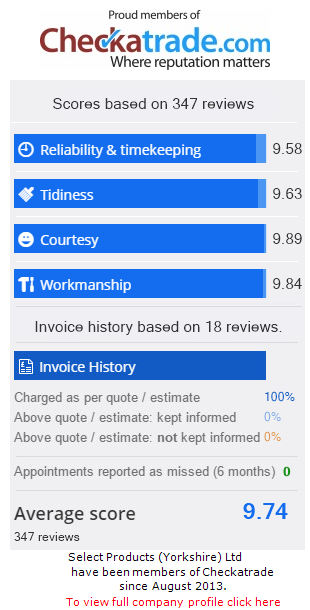 We supply and fit our high-quality tilt and turn windows throughout Leeds, Harrogate, Bradford, Pudsey, Horsforth, Yeadon, Wetherby, Ilkley, and Otley and are extremely proud to have received exceptional Checkatrade reviews in these areas. We are experts in the installation of energy efficient double glazing. Our extensive range of colours and styles will allow you to find a tilt and turn window to complement any home. We use SynerJy Fourth generation profiles from Synseal for extra security. We also offer extra security features such as shootbolt locks and internal glazing beads for that extra peace of mind. Our tilt and turn windows can be easily installed in high-rise buildings as they are internally beaded. British Standards kite marked to BS4873 & BS7950. Select Products are TrustMark registered and a BFRC registered company. Our online quoting engine puts you in control of the pricing. Browse our range of tilt and turn windows and select your preferred design, style, glazing and security option. After selection you will be provided with an instant window price courtesy of our clever window prices calculator. If you prefer to personally get in touch with us regarding your tilt and turn windows, you can contact us on: 0113 257 8933 or alternatively use our online contact form, and a member of team will be happy to help you in finding the ideal windows for your home.